Hampton, NH's Platinum Fence has been offering every conceivable type of fencing to southern and seacoast NH, northern Massachusetts, and southern Maine for over two decades. 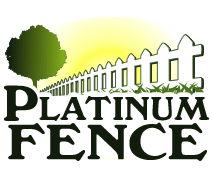 Everyone from residential do-it-yourselfers, to commercial landscapers and contractors, to full-service customers regularly turn to Platinum Fence for their fencing needs. We have most of our fence products in-stock and available for cash-and-carry for the DIY'er in need of fencing materials today. We work with our residential and commercial clients in all aspects of their fencing project...big or small. Customer satisfaction is our goal, and proof of this is our many customers gained through word-of-mouth referrals. If you're not happy, we're not happy! "Many Thanks for a very well done job. The Fence looks great and your crew who put them in were super! Thanks again."